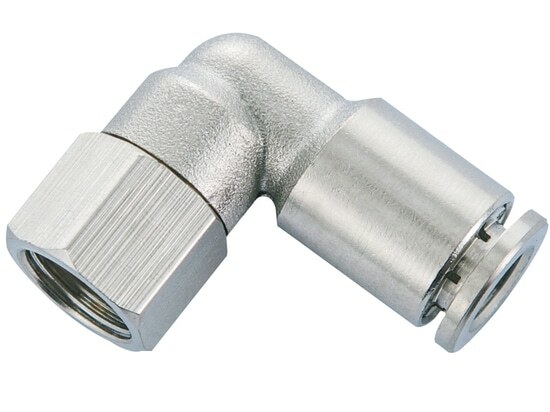 Pneuflex push in fittings (push to connect fittings, one touch tube fittings) are made of nickel plated brass(thread) and PBT(body). Stainless steel tube gripping claws, collars and release sleeves(collets) offer a quick hold and release mechanism to provide a low disconnection force for easy removal of the tubing.Push in fittings (pneumatic push to connect fittings, one touch tube fittings) come in a variety of types, models and sizes to satisfy various piping demands and provide essential links between components in pneumatic systems. 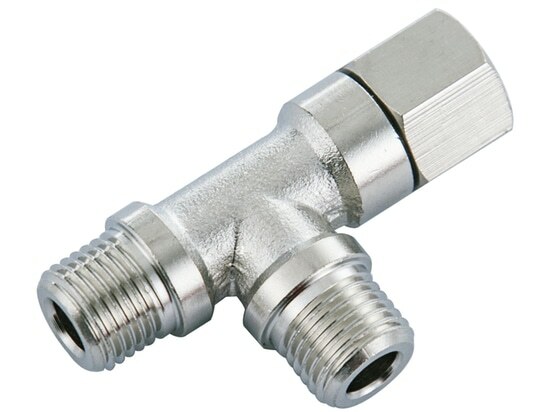 Accommodate metric tubing O.D ranging from 4mm to 16mm. Thread sizes range is from BSPT1/8 to BSPT1/2.